The curtain opens and you see a table on which stands a strange dwarf. 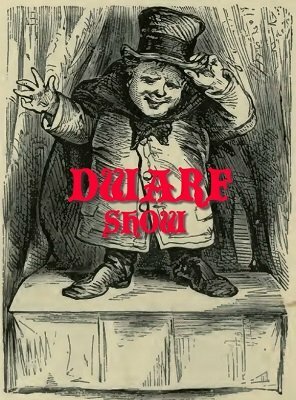 The dwarf introduces himself and immediately starts his hilarious magic show. The laughs are guaranteed! In this scarce manuscript you will find the most complete description on the Dwarf stunt. You can prepare a complete act following the clear and detailed instructions. Your audience will laugh from the beginning to the end. This stunt can be done virtually anywhere. The dwarf stunt can be a success in the show of not only magicians but of clowns, comedians and other entertainers. Several pictures complete and clarify the description. 1st edition 1957, 1st digital edition 2014, 8 pages.